Though we’re all different, we all have one common goal: fitness. With so many ways to go about weight loss, how do we even begin to start to find a fitness center? 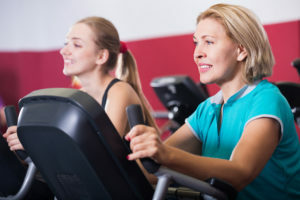 Let’s take a look at the more important aspects of a fitness center to best help you achieve your goals. 1. Convenience. No, weight loss isn’t about convenience, but if you’re serious about weight loss in Smyrna, convenience is a major factor in picking a fitness center. Consider the proximity of the gym, whether it has the amenities you’re looking for, and its hours. Pick a fitness center in an area you can get to easily so working out becomes a part of your routine. If an option is too out of the way or doesn’t offer what you need, that isn’t the best choice for you. 2. Services. 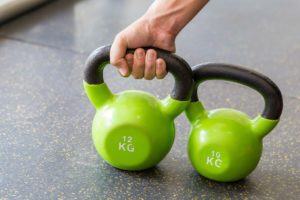 A building that simply has workout equipment isn’t exactly all a fitness center is; fitness centers have services that are in place to help you hit your target. To achieve your weight loss goals, you might need classes, a personal trainer, or a nutrition system. Equipment alone won’t get you to your goal. Pick a fitness center that goes beyond just facilities—look for exceptional services. 3. Environment. Some gyms are flat-out intimidating, but not all of them are. Some gyms have a community vibe to them that’s welcoming and encouraging to everyone. Being a part of this type of environment is enjoyable, and, if you are comfortable the atmosphere, you’ll enjoy working out. In a gym with a tightly knit culture, you might even find your new workout buddy—someone who will be inspiring throughout your journey. 4. Price. This is the big caveat that discourages some, but don’t let a few overpriced fitness centers keep you from finding the affordable ones; reasonable fitness centers are out there. The cheaper options might not wow or impress you from the get-go with elaborate faculties, but they will be a vessel for you to achieve your weight loss goals. What’s the perfect combination of all these factors? Pinnacle Fitness, of course. With locations in Decatur and Smyrna, Pinnacle Fitness is the picture-perfect fitness center to achieve weight loss in Smyrna. With our nutrition programs, classes, and personal training services available, your new you is just around the corner. We’re looking forward to helping you reach your pinnacle. Give us a call today at 404-855-5569 for our Decatur location or 678-464-3732 for our Smyrna location. Like us on Facebook for more tips.